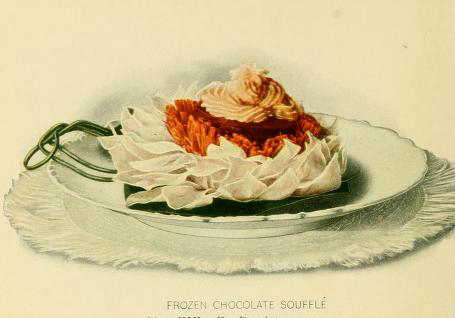 A chocolate souffle from the turn of the century. Curated from Lowney’s Cookbook in the Library of Congress. Published in 1908.